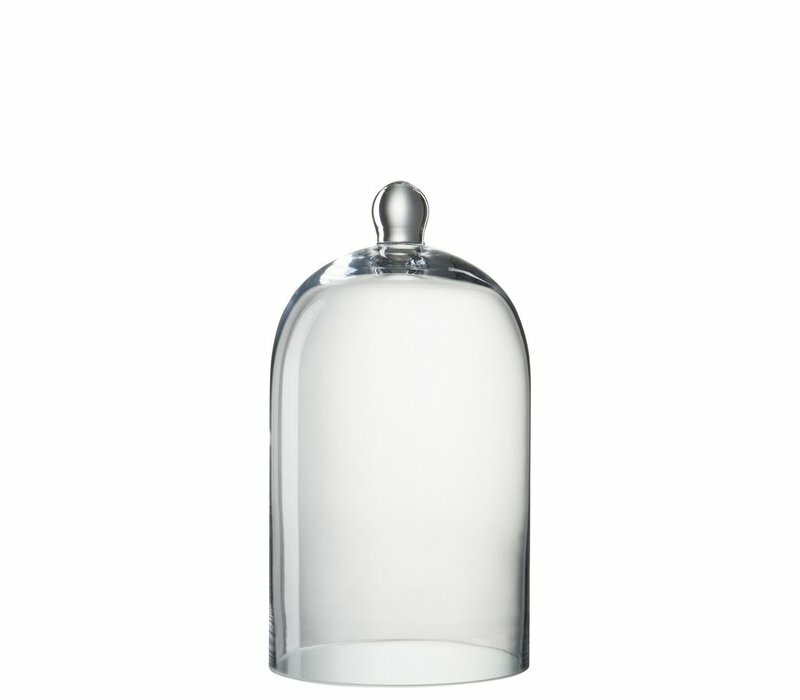 Stunning glass bell to add to any space in your home. Perfect as a decor piece in your living room or storage in your kitchen. 36cm x 19cm. 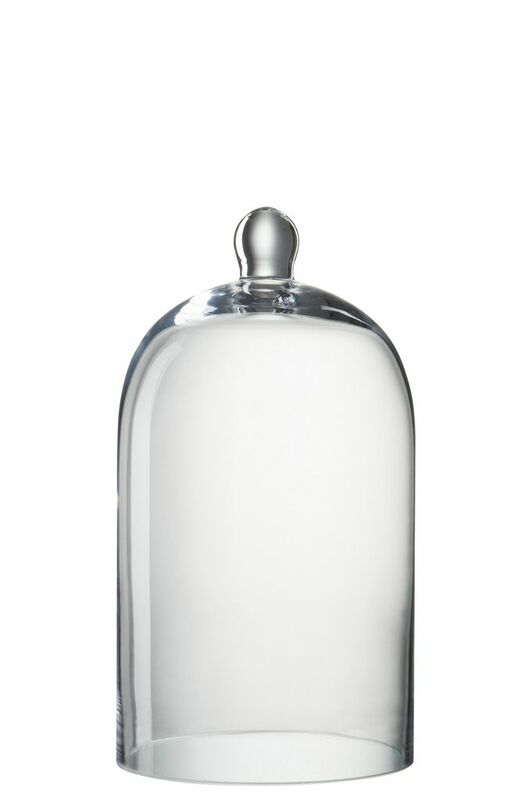 Clear glass with handle on top.